A photo of a farm in the countryside of Northern California. This farm was located out near Sacramento but not quite in the city. 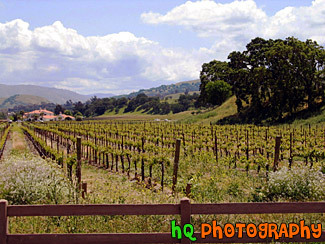 A fence and a wine field can be seen in the picture.